I'm not sure if you've noticed, but I have a little obsession with lace, especially when it comes in the color white (as seen here and here). 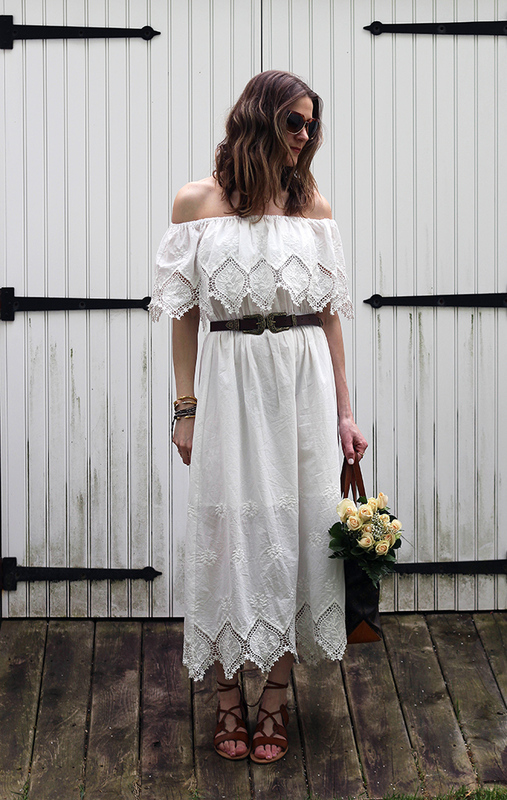 There is something about summer and lace that go hand in hand. Whether it's a full lace dress, or a pair of lace trim shorts, I love adding the feminine material to my outfits. I'm thinking I need to add this lace top to my wardrobe next, and how adorable is this lace romper? You can never go wrong by adding a touch of lace to your look with a cute pair of espadrilles. Tell me, are you wearing lace this summer? 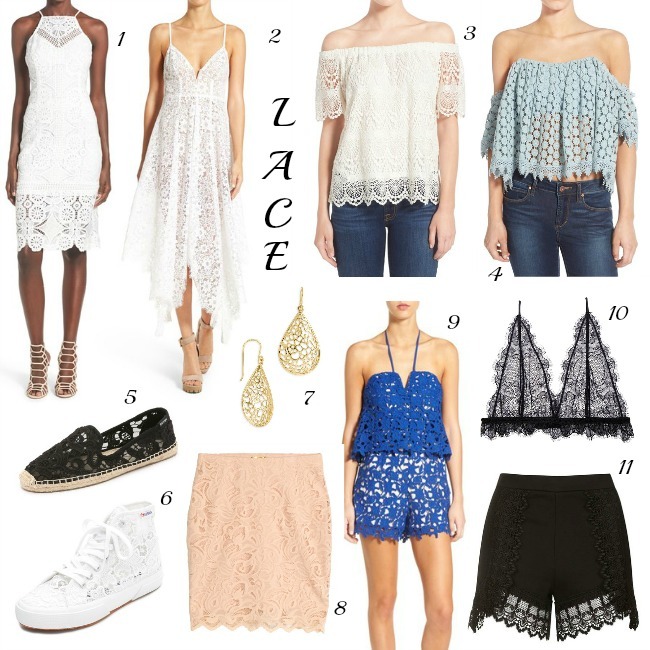 Loving all the lace! I am so into it right now as well. You shared and have some great pieces. Love lace! That first top especially looks stunning on you! Great picks. Love the lacy top you will be featuring tomorrow. Loving all of these lacey picks! I cant get enough of that blue romper! Love these style, so elegant lace! Wow, your Maxi dress is gorgious! I think thats the best maxi dress I ve seen yet! Pretty picks! I love that blue romper and the off the shoulder tops! Great lace picks and love your top! Yes to alllll the lace during the summer! This fabric is so airy!